What Are Controlled Substances Under Texas Law? You often hear the term “controlled substances” used when referring to illegal drugs. But what, exactly, are controlled substances under Texas law? Also known as CDS, or controlled dangerous substances, these drugs include heroin, cocaine, meth, and marijuana, as well as the compounds used to manufacture narcotics, synthetic steroids, depressants, and stimulants. These are substances with high potential for abuse which may lead to severe psychological or physical dependence. Alcohol and tobacco, two of the most dangerous and harmful drugs, are not included among the controlled substances in Texas. Though they too have killed millions, they are legal drugs. Texas laws on illegal drugs can be extremely strict, as provided by the Texas Penal Code and the Texas Controlled Substances Act, which was enacted in 1973. Punishments can include steep fines, jail time, a six-month suspension of your driver’s license, and mandatory drug addiction treatment. Drug crime convictions can also lead to negative impacts on your job and employment prospects, the places where you’re able to live, and even your education opportunities. As for drug crime charges in Texas, these can vary widely depending on the circumstances. For example, possession of a controlled substance in Texas can be a felony or misdemeanor depending on the type of drug, the amount of the drug, and whether or not there was an intention to sell (“traffick” in) the drug. Overall, criminal charges for drug crimes in Texas can range from a class C misdemeanor (the least severe) to a first degree felony (the most severe). Related reading: What are Crime Classifications in Texas? In legal terms, being charged with possession of a controlled substance in Texas means that a law officer has probable cause to believe you had “care, custody or control” over a substance which is deemed illegal under the Texas Controlled Substances Act. Such substances are divided by Texas drug laws into four groups of drugs. These are known as Penalty Groups 1, 2, 4 and 4. Marijuana is in its own separate category, with its own penalties. This group includes cocaine, mescaline, ketamine, methamphetamine (meth, crystal meth), opioids ( painkillers such as hydrocodone, oxycodone, and codeine), opium derivatives or opiates (including heroin), as well as psilocybin and comparable hallucinogens. Penalty Group 1-A includes LSD (lysergic acid diethylamide). Punishments for Penalty Group 1 can start at two years in jail and a $10,000 fine, but can extend to a $250,000 fine and a life sentence in prison for possessing 400 grams or more. This group includes hashish and other cannabinols derived from cannabis or marijuana, as well as PCP and Ecstasy (MDMA). Penalties for Group 2 start at two years in jail for possessing under one gram and increase to a $50,000 fine and a life sentence in prison for having 400 or more grams. This group includes opiates and opioids not listed by Penalty Group 1, along with anabolic steroids, benzodiazepines, and sedatives such as Valium, methylphenidate (also known as Ritalin), and prescription drugs which have a depressant or stimulant effect and the potential for addictive abuse. Penalties for possessing drugs in this group start at a year in jail and a fine of up to $4,000, but can increase to a fine of as much as $10,000 and a 20-year prison sentence for having 200 or more grams. This group includes opiates and opioids unlisted by Penalty Group 1 or 3, as well as chemical compounds and some prescription medications with a potential for abuse. Penalties for drugs in this group are comparable to those for the drugs in Group 3. Texas drug laws provide penalties and punishments based on the circumstances of drug possession, and these can be severe. For instance, if you manufacture or deliver (sell) a controlled substance, you can face punishments of 180 days to two years in jail and a fine of up to $10,000 — but those are just the minimum punishments. Maximum punishments for manufacturing or delivering a controlled substance in Texas include fines of up to $250,000 and prison time ranging from 15 to 99 years, with a life sentence also possible. Penalties and punishments increase if the drug is possessed in what’s considered a “drug-free zone.” Such zones in Texas include being within 1,000 feet of a private or public elementary school, secondary school or daycare center. Penalties aren’t as severe if you’re arrested for possessing a controlled substance only for your own personal use as opposed to possession with the intention to distribute. You may also be interested to know about federal laws pertaining to controlled substances. Enacted in 1971, the Controlled Substances Act includes five “schedules,” or classifications of controlled substances. The most severe category is Schedule 1. It includes such drugs as heroin, LSD, MDMA (Ecstasy), psilocybin, psilocin and marijuana. Drugs included in this category are said to have a high potential for abuse, lack currently accepted medical treatment value, and lack an accepted safety use. This category is similar to Texas’ Penalty Group 1. Even non-violent, first-time offenders convicted of trafficking (selling) Schedule 1 drugs can face a life sentence in prison. Also, be advised that across America, arrests for heroin and meth distribution are rising. Considering that simply possessing small amounts of a controlled substance under Texas law can lead to severe punishments, it’s vital that defendants contact an experienced drug crime lawyer for Houston, Harris County, Fort Bend County or Montgomery County. Whether you’ve been arrested for possession of a controlled substance, or for manufacture or delivery of an illegal drug, get knowledgeable legal help from a Houston drug defense attorney at the Neal Davis Law Firm. Your charge may be a misdemeanor or a felony, but either way it’s a serious criminal offense which requires a serious defense by a drug defense lawyer. 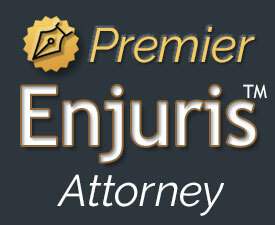 Contact our attorneys today for a no-obligation, confidential and completely free legal review of your case. A controlled substance charge in Texas should NEVER be taken lightly. Let us help you, as we’ve helped many others.